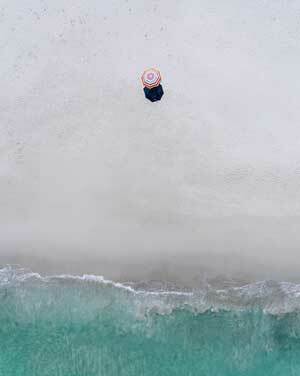 Tim Eccles is a drone pilot from Cape Town, South Africa, who had an interesting start in the drone world. He was gifted a drone in January 2018, but wasn’t able to fly it at that time due to a bad battery. He let it sit for a while, but once getting it going he’s been having a blast flying and selling his prints. Living near some beautiful beaches, Tim is almost exclusively taking photos at the beach and waterfront. Lately he’s been experimenting with umbrellas and desaturating his photos. I find this is a great technique as it really lets the photo speak for itself, rather than relying on some crazy oversaturated colour. Hilariously enough, Tim has self declared himself as a terrible drone pilot! For that reason he sticks to photos and doesn’t do much on the video side of things. If you’re interested in learning how to get out of the “terrible drone pilot” side of things and learn how to fly with precision, be sure to check out my free drone training course. I’ll get you and Tim going in no time at all! Even though Tim isn’t flying commercially yet, he has some experience with instagram marketing. He recommends using a service called Social Info, that gives you hashtag recommendations. In addition to recommendations, it also shows how competitive each hashtag is. As he describes it, it’s the instagram game! He’s been selling his prints on his own so far, but after hearing both Merr Watson and Michael Brown talk about Riptide Prints, he’s likely going to move his business over there. As fun as it is to shoot, print, and ship, it’s also nice to have someone else take care of the back end of the business for you. 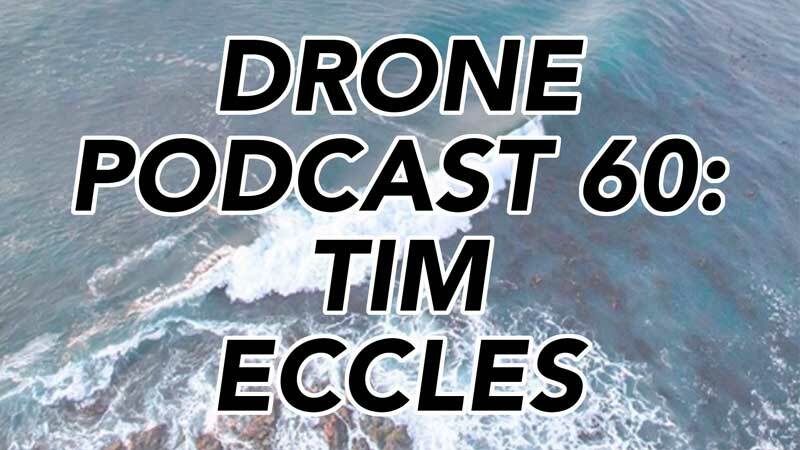 I hope you enjoyed this week’s drone podcast with Tim Eccles of Cape Town, South Africa! Once you’ve had a listen, feel free to leave a comment below so that Tim and I can hear what you think! Check out Tim’s work and follow him on social media!